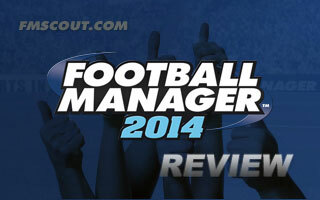 In this review for Football Manager 2014, I will cover every aspect of the game, and what has changed since last year’s game. 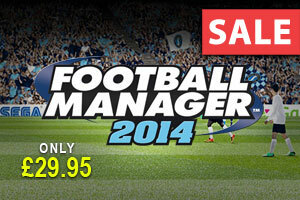 We're having a BIG sale on Football Manager 2014 until release date. 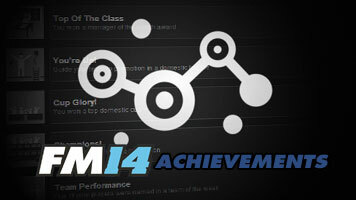 All 108 Steam achievements for Football Manager 2014 explained. 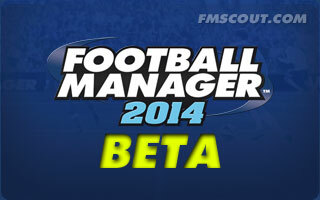 The beta version of FM14 is now available to download via Steam for all those people who pre-ordered from our store! 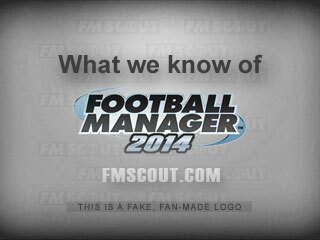 Official FM14 video footage in one page, as it's made available by Sports Interactive. 9th video reveals pre-Beta match engine footage video, including the brand new close cam. 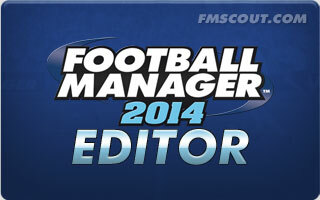 The complete list of new changes to the Football Manager 2014 Editor, the Challenge Editor for Classic Mode and the In-Game Editor as a paid download. 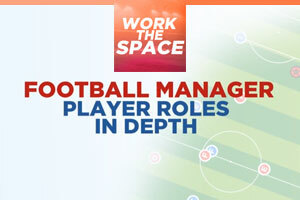 An in-depth look at the 8 new player roles introduced in FM14. 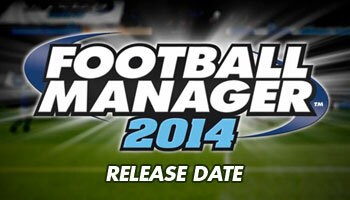 FM14 release date has been officially announced. The new game will be out on October 31st. 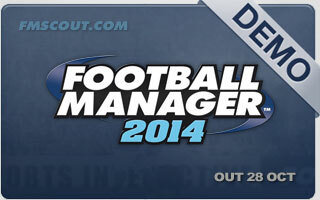 Pre-Purchase Football Manager 2014 from our store to receive access to the beta version 2 weeks before the game releases! 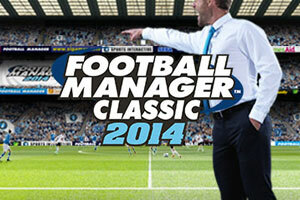 FMC14 for PS Vita will be the first game in the FM series to allow cross-platform play away from home computers. 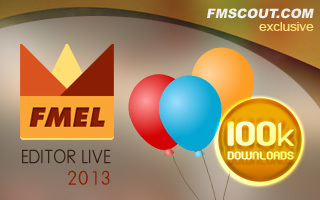 Celebrating over 100,000 downloads of our exclusive FM Editor Live 2013 tool since its release back in mid-February. 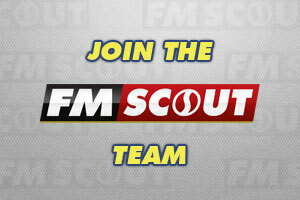 We're looking to recruit FMers who are enthusiastic about the game and the community here. Do you have what it takes to be part of the team? It's time for the Champions League and Championship Play-Off Finals this weekend! 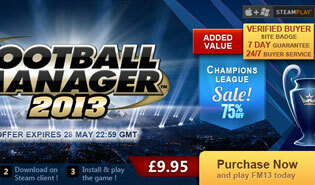 And we are having a big sale all weekend on Football Manager 2013. A lot of changes have been made in this version which signals the end of beta. This is the 10th FM13 hot-fix update which includes a couple of bug fixes. 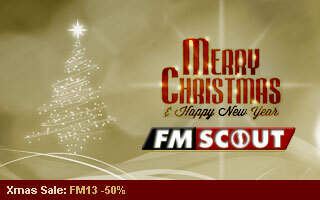 Buy your Football Manager 2013 activation code from FM Scout store and join thousands of happy buyers. Plus our 7-days money back guarantee, makes this a risk-free buy! 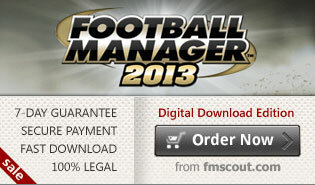 This is the 8th FM13 patch which includes the data update of the January 2013 transfer window. 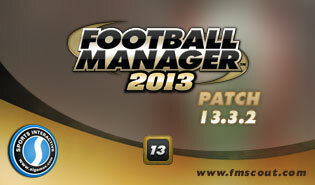 This is the 7th FM13 hot-fix update which mainly includes match engine bug fixes. 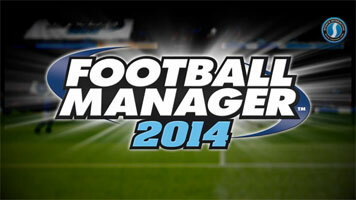 This is the 6th FM13 hot-fix update which addresses a couple of crashing issues. 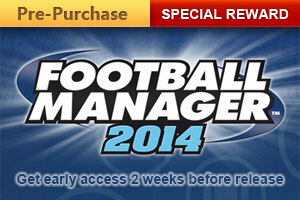 Introducing experimental Sale Value for players. Also added certain club information which were previously unavailable: reputation, balance, transfer budgets and stadium capacity. 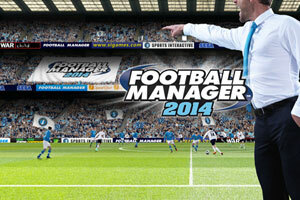 The greatest Xmas Gift for yourself or a friend is our special offer of Football Manager 2013 for only £19.95, valid until 28 Dec at midnight! 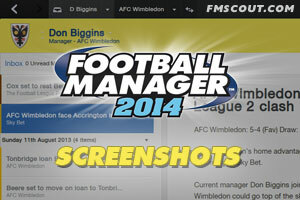 This is the 5th FM13 hot-fix update which addresses some issues of the match engine. This is the 4th FM13 update which adds a dark skin, 2 new FMC challenges and also addressing various other bugs and improvements. Handcrafted in Symi, Hellas. Page created in 1.566 seconds.